A Declaration. A Treaty. A Petition. These three iconic New Zealand documents are now on public display at the National Library of New Zealand in the He Tohu exhibition held jointly with Archives New Zealand. Three books, published by Bridget Williams Books with the Department of Internal Affairs, take the story of these three foundational documents out to readers throughout the country. Each book contains full colour facsimiles of the original document, and wide-ranging new research, led by Archives New Zealand, introduces us to many of the signatories. Texts by historians sets each document in context. Having served as an historical advisor in the preparation of the He Tohu exhibition content, I was delighted to be asked to contribute to the book on He Whakaputanga o te Rangatiratanga o Nu Tireni (the Declaration of Independence of New Zealand). 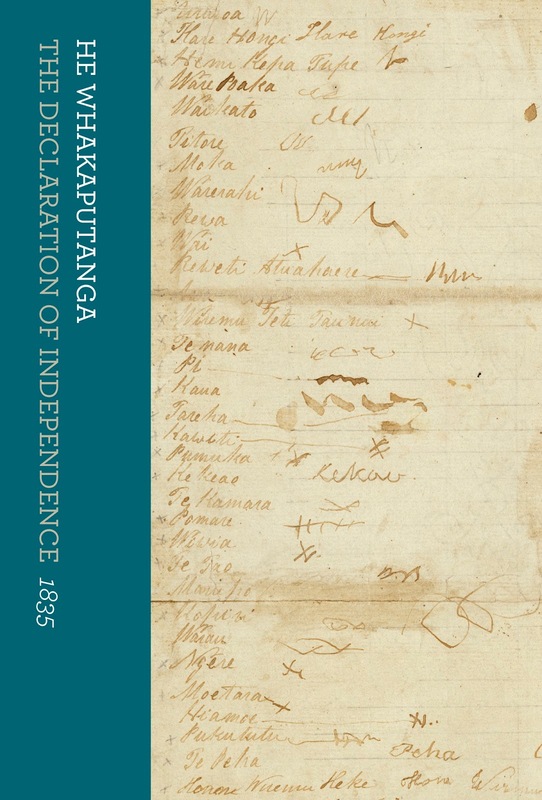 He Whakaputanga/The Declaration ofIndependence presents the lesser known story of the Declaration of Independence of New Zealand, which was signed by fifty-two rangatira from 1835 to 1839. 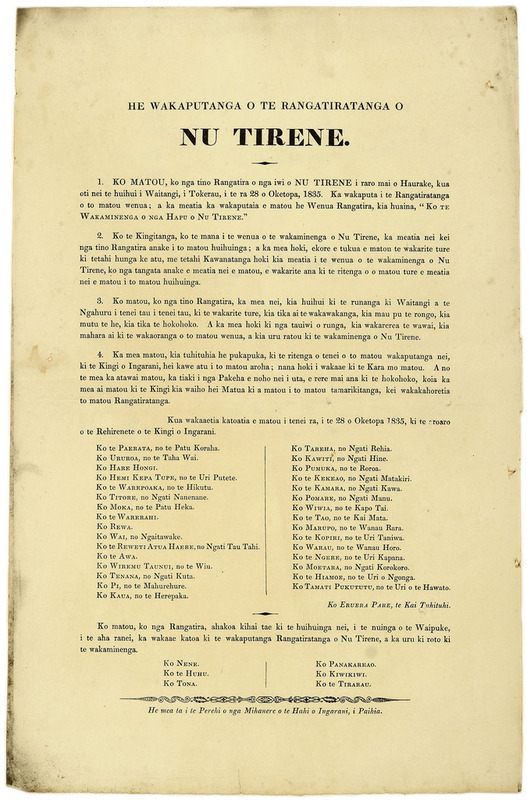 It was a powerful assertion of mana and rangatiratanga, made after decades of Māori and European encounters that had been steadily expanding – both within Aotearoa New Zealand and elsewhere on the globe as Māori travelled abroad. 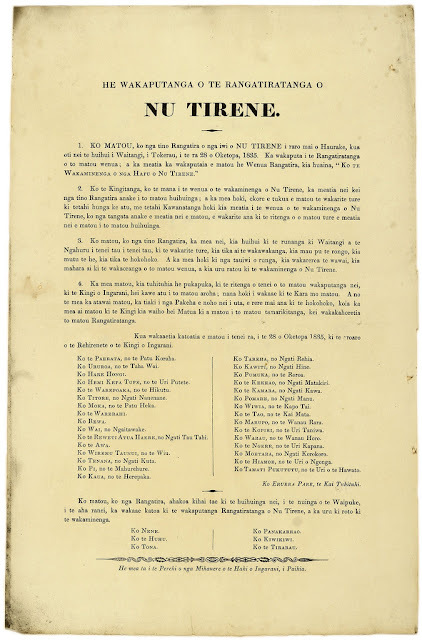 He Whakaputanga can mean ‘an emergence’, referring to the birth of a new nation but also marking steps towards unified forms of governance among the many different rangatira, their hapū and iwi.